It’s no secret that brands and individuals are on social media to increase sales, website traffic, brand interest, or gain Internet fame. Maybe even all of those reasons. 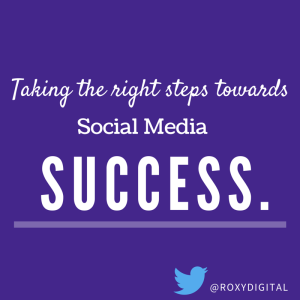 At the end of the day, we all want to be successful through our social media efforts. But when millions upon millions of users are using the same social media networks, the million-dollar question is raised: “How do I stand out from the rest?” What are the steps that must be taken in order to achieve social media success? As nice as it would be to snap your fingers and see social media results overnight, the reality is that progress takes time. However, those who are able to be effective listeners on social media are the users who will learn faster. Why? Because we are all sponges. “See first, do second” applies directly to social media success. If we are able to become flies on the wall and observe what the successful social media influencers are doing, we will benefit immensely. Learning from the best by way of listening will help spark ideas when implementing an all-encompassing (and successful) social media strategy. Also, listening to your community and to your customers will help gauge what your brand needs to be doing better. Look at your strategy from the outside in, not the inside. Listen and then respond accordingly. Most of us are on at least one social media platform for one reason or another. Because, let’s face it, if you’re not then you (or your company) may be living in the dark ages. I’ve heard the complaint, “I know my company needs to be on social media but I’m not sure what to do or how to do it” from business owners all too often. For those struggling with the concept of how to achieve digital success, the answer lies in the name itself: Social Media. Social. We are humans. We are social creatures. We crave interaction with others. Digital success will happen organically when you are able to be yourself and stay social on social media. Engage. Be open and honest. Stay human. As simple as it sounds, sometimes brands need that friendly nudge to remember that at the end of the day, we are all human and that must translate into all social media efforts. Social media is a two-way street. It’s a platform for two-way communication to occur. Those who are able to understand and internalize this concept are the ones who will be able to communicate with others, build trust, and establish relationships with those around them. In summary, your social media success is fully dependent on the person behind the handle or avatar. Set realistic goals for yourself or your brand and work towards those goals. Listen first, engage second. Remain social on social media. Take your conversations offline. Be adventurous and proactive. Those are who able to possess these traits when approaching their social media efforts will be the ones who reap the most benefit and reward. And who knows- maybe you will find yourself paragliding with a Twitter connection one day, too! Do you have any stories or experiences about how you were able to take a social media online relationship offline? Tweet it to me @Roxydigital – I would love to hear!